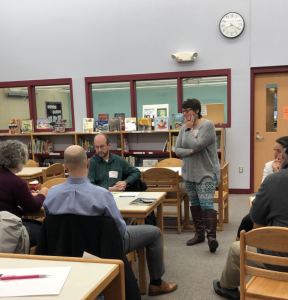 Last week the School Committee welcomed almost 60 citizens to the Public Forum on Space held in the Cunningham/Collicot Library. A Public Forum allows the opportunity for an exchange between citizens and Milton School Committee members. Dozens of citizens spoke, expressing concerns, offering ideas and engaging in dialogue with the School Committee. 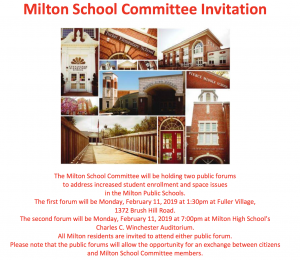 The School Committee has scheduled 2 additional Public Forums on February 11th and will be attending the East Milton Neighborhood Association meeting on February 13th. All Milton residents are welcome and encouraged to attend any meeting that is convenient. 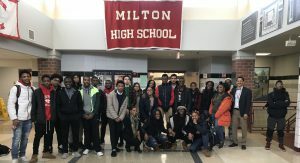 I am pleased to share this photo of our students in our MHS Achieve Program with the work they did for Martin Luther King Jr. Day. Students created posters to represent their favorite picture and quote to help them remember the positive impact Dr. King made. Advisors Larry Jordan and Mary Bianca Mattocks accompanied students from The Young Men’s and Women’s Groups on a field trip to the Boston Public Library this week. Students visited the American Student Assistance program at the Teen Center and received valuable training and information on securing college aide. Both the FASFA process and possible scholarships for college were discussed and explored. MHS guidance continues to support all MHS families with seminars and counseling throughout the college process. 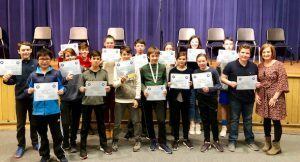 Last week was the 13th Annual Pierce Geography Bee. The action on the stage kept the audience on the edge of their seats, as they waited for the champion to emerge. Teams cheered their representatives on and celebrated the expertise of so many of the contestants as the crowd enjoyed a great show of the geographic knowledge of their peers. 15 contestants participated in the schoolwide competition with a full auditorium to witness their expertise. 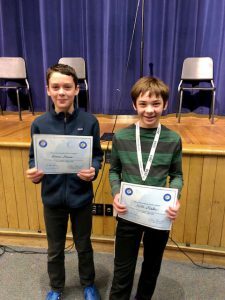 Geography Bee legend Ms. Connell asked question after question until 6th grader Will Malec triumphed as the 2019 Geography Bee winner and 7th grader Moses Mann emerged as the runner up. Will takes the National Geographic Test to determine if he qualifies for the Massachusetts State Geography Bee later this Spring. Good luck, Will! Congratulations to runner up Moses (L) and Geo Bee Champ Will (R)! 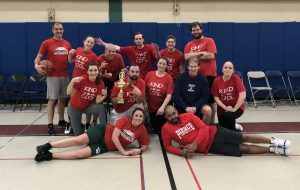 For the second year in a row, the Pierce staff bested the Pierce student basketball team at their annual basketball game. Congratulations to the staff and to the students who played a hard fought game. Most importantly, great fun was had by all! 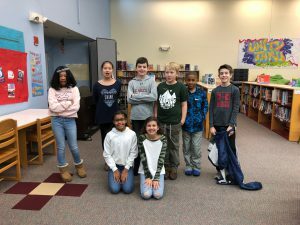 Best of luck to our Future Problem Solving Teams which will participate in the Annual Qualifying Future Problem Solving Bowl on Saturday, February 2 at Canton High School. 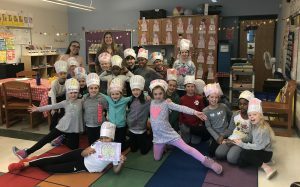 Elementary FPS coach Justine Novak shares that each team of four students will compete and be given a futuristic scenario on Food Waste and Loss, a topic that students have been researching and discussing. Each team will brainstorm problems and solutions based on this topic, and produce a final solution stated in an action plan format. They will have two hours in which to complete this booklet. 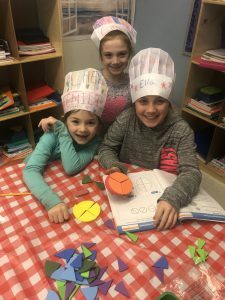 The goals of the FPS program are to help students develop skills in divergent, flexible and innovative ways through written and oral expression. We look forward to hearing about the great experience our students have at the bowl this weekend! 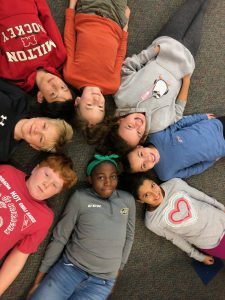 Not pictured is the Pierce FPS Team: From Grade 6:Victoria Lundeen, Luke Grant, Ida Zoll and from Grade 7:Tucker Korman, Ella Cantor, Jasmine Bethea, Frank Hawker, Taylor Xu and Mudia Odion-Ukpebor. Marley the therapy dog visited Cunningham last week to explore ways in which she might benefit students on a regular basis. 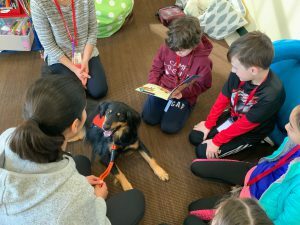 There are many ways a therapy dog provides support in a school. 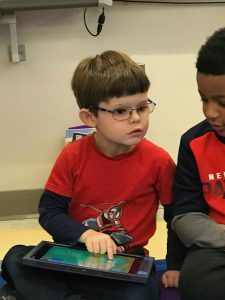 In the future, Cunningham is looking forward to integrating Marley as a reading buddy to individual students and small groups, as motivational support during academic tasks, or as part of a calming strategy for students when they may need a break from classroom demands. From our visit with Marley we gathered that she is an excellent listener, has a big, warm smile, loves a soft pet and will give kisses in return. Some of Cunningham’s 5th Grade Student Council and 3rd graders were able to meet Marley and students have given her rave reviews and hope to visit with her again soon! Thank you to Meena McWeeney and her certified DOG B.O.N.E.S. therapy dog, Marley for the visit. We look forward to seeing you both again soon! Pizza, anyone? Cunningham 3rd graders are enjoying “Ms. 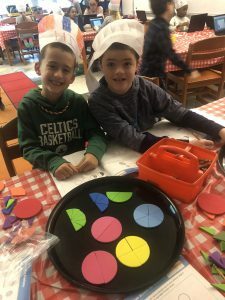 Fitzgerald’s Pizzeria” this week as they learn about fractions in math while creating and interpreting data about their favorite types of pizza. They will all be craving pizza after their Reach for Reading persuasive writing lesson and presentation about why their favorite type of pizza is the best type of pizza! This week, Tucker families engaged in a collaborative conversation about how to support students in math. 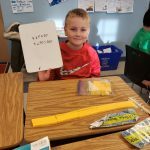 While this started as a way of supporting family members volunteering in our Morning Math League, we find it also applies to helping students in their math at home. Tucker parent and math coach, Stacey Solomon, offered a session for families who volunteer in the Morning Math League at Tucker. At the session, families engaged with a complicated math problem (similar to those found in Continental Math League) and reflected on their own approach as well as how one might support a student grappling with the problem. 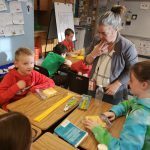 Through conversation, participants acknowledge the nuances of the language in math as well as the need for a back and forth interaction with complicated math problems. 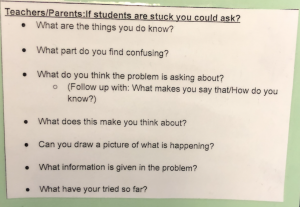 Ms. Solomon shared strategies that pushed all to think about how important it is for students to focus on the process of approaching and persevering through complicated problems rather than the answer to the problem. Using visual models, re-reading, trying multiple approaches, and confirming things that students are thinking throughout the process all get at the goal of having flexible thinkers and problem solvers in all areas of learning. Thank you to Ms. Solomon and all who participated in this Morning Math session for families! 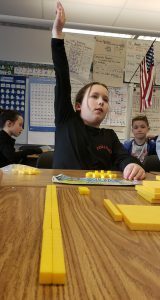 Mrs. Spitz’s Collicot 4th graders had a recent powerful math lesson on partial products with Math Coach Ms. Middleton and Mrs. Spitz. Students used place value concepts to multiply the numbers, making it a strategy that actually enhances number sense. This method was a follow up to the area model/box strategy that students are familiar with. 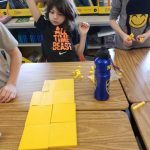 Giving students multiple strategies to solve complex math problems allows them to be flexible thinkers and use the approach that best suits their learning style. 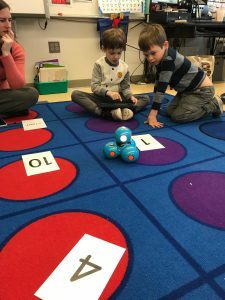 Glover kindergarten students have been working hard during their STEM lessons, supported by our technology specialist Jennifer Van Hill, to code the Dash and Dot Robots. Students were engaged and motivated to move their robots using iPads to numbers called out by the teacher. You can see Dash in action here. It was a great way to incorporate technology with number recognition, a fundamental mathematics skill. Next week, the teachers will replace the numbers with sight words to continue the fun (and learning)! Tonight, we invite Milton parents to join the Milton Substance Abuse Prevention Coalition to learn helpful tips about speaking to our children when they are faced with risky choices. 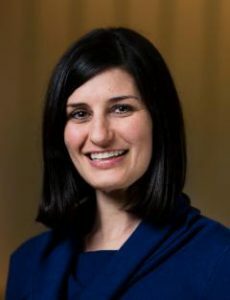 Professor Margie Skeer, whose passion and profession focuses on productive parent interactions with youth, will give us ideas and suggestions we all can use. You are not alone if you think that you could be doing a better job speaking with your kids, or worry that they’re not listening. Everyone can benefit from good advice from experts who study best practices. This meeting is not just for parents who are struggling with their children. 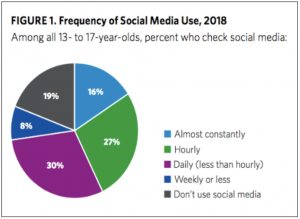 It’s meant for all those who are currently parenting—or will be parenting—teens. All community members are invited to this meeting. 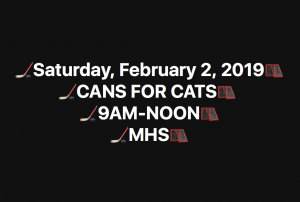 Please join other parents from Milton. It’s free and will definitely be informative! 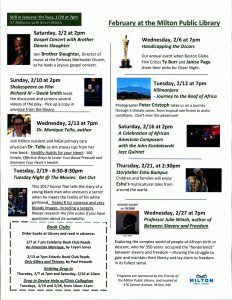 Join us TONIGHT, Thursday January 31st at 7pm at Beth Israel Deaconess Hospital-Milton. Refreshments will be served. On February 12th, MPS will be hosting internationally recognized clinical psychologist, school consultant and award winning author Dr. Catherine Steiner-Adair at 6:30 PM in the MHS auditorium. 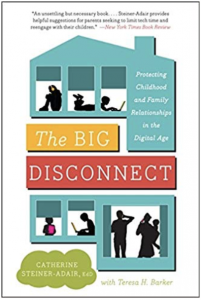 The title of the event is The Big Disconnect: Protecting Family Relationships in the Digital Age. 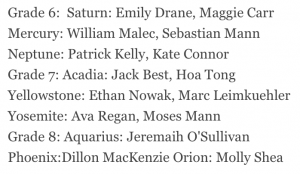 Congratulations to Coleman and Esme! 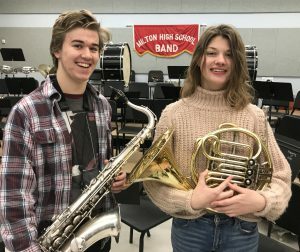 The Music Department is proud to announce that two students will represent Milton High School at this year’s All State Festival and Conference. Congratulations to Esme Link (French Horn) and Coleman Rose (Tenor Saxophone) who have earned a place in the All State Honor Ensemble! 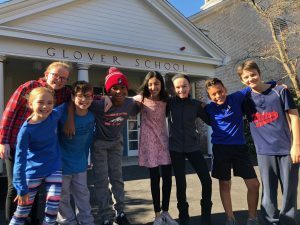 These students will spend three days in rehearsal at the Boston World Trade Center in preparation for a performance at Boston’s Symphony Hall. Esme and Coleman are both members of the junior class and participate in MHS Concert Band, Marching Band and Jazz Ensemble. Well done to these outstanding student musicians! In addition, six Pierce students will join these Milton representatives at the festival as members of the All State Treble Chorus. This ensemble is comprised of students in grades 4, 5 and 6, selected by audition from schools across the State . 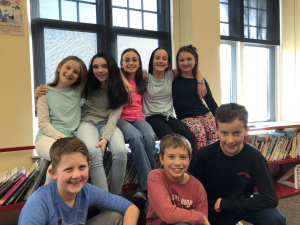 Congratulations to this year’s participants: Lillian Heaton, Christopher Mancini, Madison Mercier, Mairead Brien, Ava Butler, Rebecca Raider. 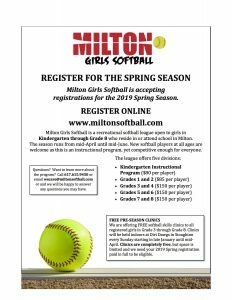 Believe it or not, it is time to start planning Milton Summer Enrichment (MSE) 2019! Cat DesRoche and Ellen Lohan will be Co-Directors this year, as Bernadette Butler has stepped down from her role with MSE after 3 years of outstanding work. We are looking forward to a fantastic summer at MSE and invite you to read our Opening Letter here. All the details of our fun summer ahead can be found here! L ast week we shared that MHS is becoming a Unified Sports School. 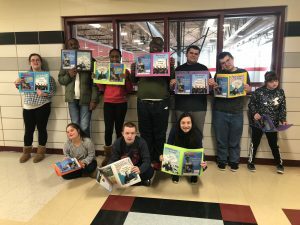 You can read all about Unified Sports here and get more information on our Unified Track and Field Team that starts at the end of March. The Year of the Pig begins in February, and the Forbes House Museum is celebrating with a series of fun and educational programs based on New Year’s traditions and animal symbolism in the Chinese culture. On Monday, February 18, from 10-11:30 am, representatives from the Greater Boston Chinese Cultural Association will visit the museum to help lead games, stories and arts & crafts projects for children in grades K-3 with a Lunar New Year theme. On Wednesday, February 20, from 10-11:30 am, children in grades 3-5 can learn how the Chinese convey meaning through nature imagery – including animals, bugs and flowers – and spend some time with artist Tsun Ming Chmielinski learning the art of Chinese calligraphy. Finally, on Friday, February 22, from 11-12:30 pm, bring your favorite stuffed animal friend for a special tea and scavenger hunt through the museum. 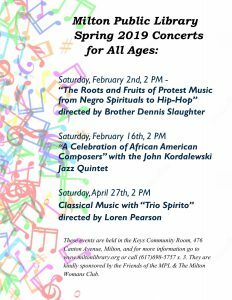 To register for any of these programs and to find out more, please visit our website or call 617-696-1815. The museum is located at 215 Adams Street in Milton. Summer on your brain? We are happy to welcome EMPOW Camps back to Milton this summer. All details can be found here. Early bird discount ends today! 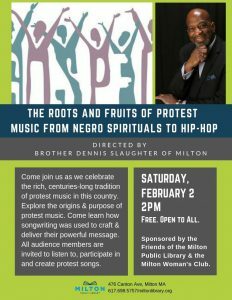 The Milton Public Library has great programs for all ages! Students: Milton 4th grade Girl Scout Troop #69225 recently completed a service project. 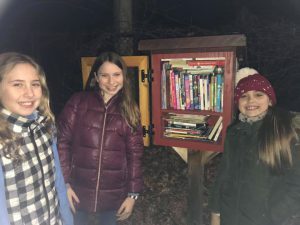 The girls saw a need and they collected children’s books and refilled and organized the little library stands around town this past week. 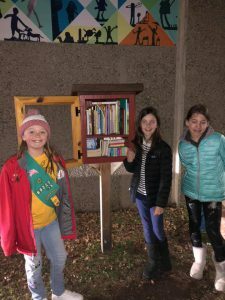 The Girl Scouts also tried to repair the library stand at Andrews Field to help keep the rain out of it. Troop # 69225 is made up of students from all 4 elementary schools. 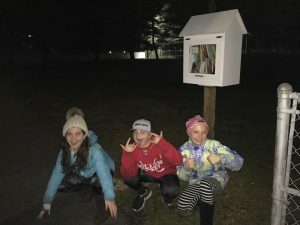 We are proud of these students and Girl Scouts for helping their community. Happy reading! 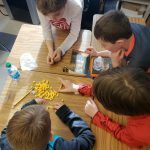 Students: I am happy to share some thoughts from a note we received from Kevin J Cook – US Navy (Ret. ), Director of Veterans Services for Randolph & Milton. 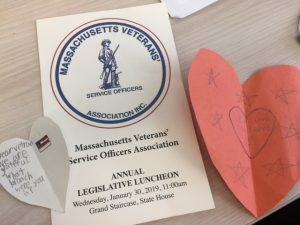 Mr. Cook shares that he delivered cards made by our Tucker students to his fellow Veterans at the Massachusetts State House during a meeting with legislators and the Governor Baker about the needs of our Veterans. Mr. Cook placed the cards on the chairs that the Veterans would sit on. When Governor Baker got up to speak, he had one of the cards in his hand and highlighted it in his remarks and let everyone know that the cards were made by our very own Tucker students. 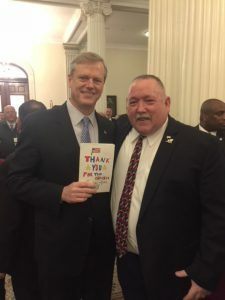 Governor Baker told Mr. Cook that he appreciated the card and would keep it in his office for everyone to see. 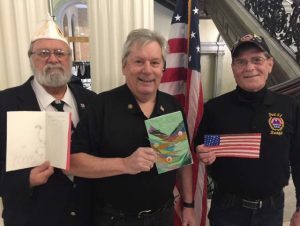 Mr. Cook writes that “I was so proud of our students and glad I was able to share these great cards with my fellow Veterans and the Governor. He has been personally involved in supporting Veterans and their families. 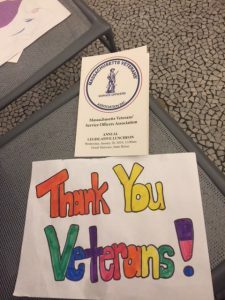 Your students should be proud of their work and please let them know that by their efforts, they made many Veterans feel appreciated.” Thank you to our Tucker students and volunteers who made the cards and to Mr. Cook for all he does for our Veterans. Staff: I am pleased to announce that MHS Band Directors Mr. Gary Good and Mrs. Rebecca Damiani will be recognized at the upcoming Massachusetts Music Educators Association – All State Festival & Conference, where each will receive the MMEA Lowell Mason Award. This recognition is named on behalf of Lowell Mason, a Massachusetts born musician who over the course of his career became an important figure in the advancement of music education. Recipients of this prestigious award are chosen for their contribution and leadership in music education. 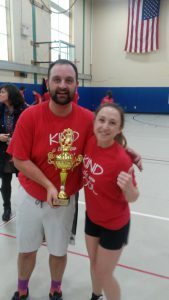 Congratulations to Mr. Good and Mrs. Damiani on this highly distinguished recognition! Thank you to my blog contributors this week: Cat DesRoche, Charlene Rocher, Ryan Madden, Karen Hughes, Sara MacNeil, Larry Jordan, Lauren Fitzgerald, Jake Smith, Justine Novak, Nicole Lauria, Liz Spitz, Jaclyn Germano, Dawn Sykes, AJ Melanson, Noel Vigue, Laurie Stillman Karen Spaulding, Nancy Warn, Mark Harrison and Noel Vigue.